Keltruck’s 12-month restoration project of a Classic Scania T-Cab has come to an end, with a remarkable conclusion. The restoration journey for this Classic T-Cab started back in 2012 when Keltruck, Sales Director, David Morgan saw the potential in this vehicle. 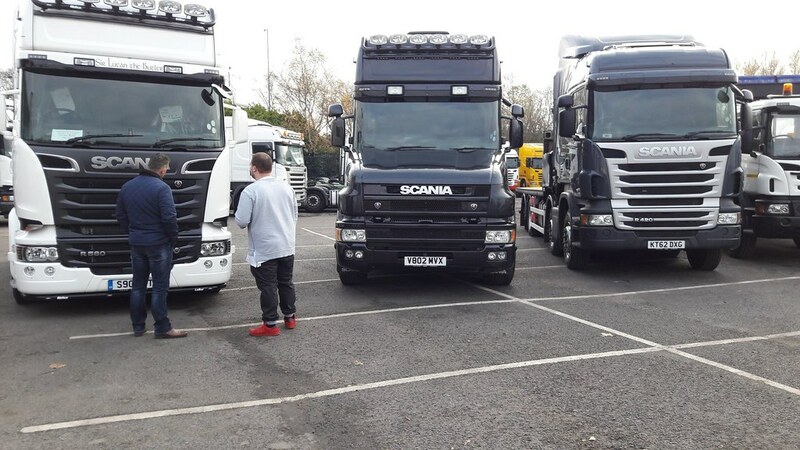 The T-cab was sold in a part exchange deal, not only to woo the crowds at upcoming Keltruck events, but also to be used to transport the new Keltruck exhibition trailer to events. Keltruck displayed their rebuilt metallic black T-Cab in April 2013 at the grand opening of the newly redeveloped head office in West Bromwich. This T-cab has been a 12 month project for the team at Keltruck West Bromwich, undergoing extensive body, chassis and engine work to make sure this vehicle was roadworthy for June 2013 to be displayed at all the upcoming truck shows over the region. This project started back in 2012 when David Morgan, Sales Director, saw potential in this project which was sold in a part exchange and hopefully the perfect vehicle to transport Keltruck’s exhibition trailer. 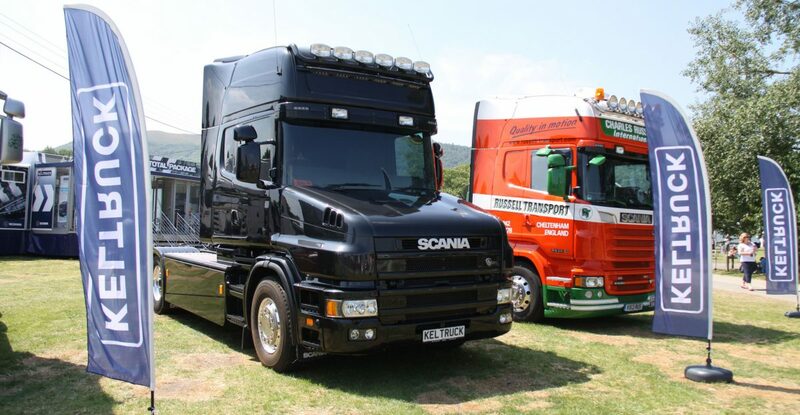 “I personally have always liked the T Truck Scania, they are very much an iconic vehicle. Over the years we have supplied such T cab trucks to various customers, George Green Transport, Atchison Topeka, Countrywide Farmers, Coles & Son, Stancombe Stone, to name a few. As time has gone by the value of these trucks has soared and they are becoming very collectable. The cab, originally an ‘R’ cab, has been replaced and fitted with a Topline roof, the bonnet repaired, replaced damaged air deflectors and all refurbished in metallic black at Keltruck’s own state-of-the-art, Dalby ‘cook & bake’ paintshop on site. The chassis arrived in bad condition with most parts damaged, however the team in Keltruck’s accident repair centre have the expertise and also Josam jig equipment necessary to complete the refurbishment. The chassis was stripped down to the rails, shot blasted and rebuilt, replacing all damaged parts and painted gloss black. “The finished product is testament to what our Bodyshop boys can achieve, all of them who took part in the rebuild really took this under their wings and had real pride in making it what it is today. Incidentally, we also have a 1989 T 143 and a 2005 T124. Thanks must also go to Chris Hopton at Tyretrax. Matt & Luke at S&B components, Spot on bars”, commented David. Extra fittings include new allow wheels and tyres, S.B. components parts in metallic black, new type headlamps, double rear lights and light bars around the vehicle. Even the engine and gearbox were painted to match. Finishing touches include tinted cab windows, fitted special green on green tint windscreen, recovered seats and bunks in leather, recovered interior panels in black, colour coded mirrors and light bar and all steps black stove enameled.